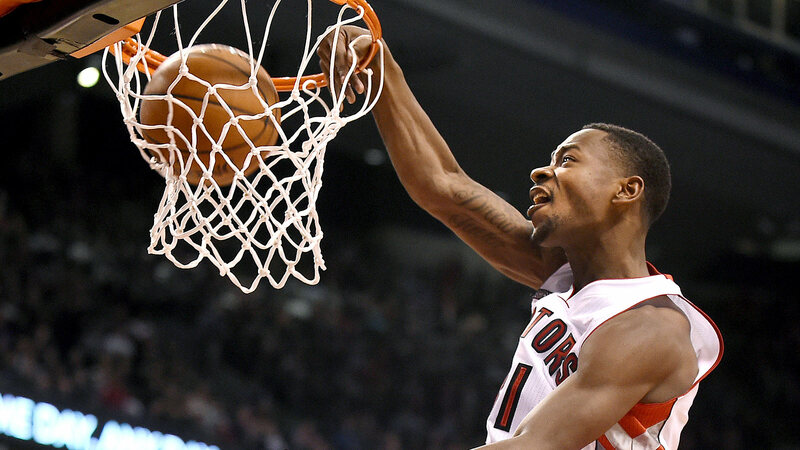 It's time to get to know your 2015-16 Toronto Raptors, and Terrence Ross is a good member of the team with which to start. He's friendly, he's affable, and he wants to dunk all over opponents. What more can you ask for in a player from your favorite team? He most recently got caught singing Alice Cooper's “No More Mr. Nice Guy.” Random, Ross admits. His last meal would be steak, potatoes and shrimp. An excellent choice, of course. He collects shoes. His favorite thing about Canada is Tim Horton's. And the first time he dunked, he was in the seventh grade and on a fastbreak. And he barely got the ball over the rim with his eyes closed. That's just not fair. We couldn't dunk with our eyes wide open. And Ross' very first dunk ever was with a biological blindfold? Not fair at all.